Te Atatu Peninsula residents are fortunate to have the conservation crown jewel of Harbourview, situated along the eastern coastline of their suburb. Harbourview is officially recognised as being regionally and nationally significant for environmental reasons and is worthy of consideration for Auckland regional park status. Its swampy lowlands form part of the last original, undeveloped Upper Waitemata Harbour intertidal wilderness of mangroves, salt marshes and freshwater wetlands. Across the Whau River channel from Harbourview, the rest of this unique area is protected by the Motu Manawa (Pollen Island) Marine Reserve and the Pollen Island Scientific Reserve (both managed by the Department of Conservation). The adjacent Traherne Island, bisected by State Highway 16, is managed by NZTA and not presently part of the conservation estate. Although Harbourview is managed by Auckland Council, it contains a small reclaimed area at the northern end owned by the Department of Conservation. Between them, Harbourview, Pollen Island and Traherne Island share the same native species of plants and birds characteristic of the large estuary formed at the mouths of the Whau River and Oakley Creek. The extensive lowland and saltmarsh complex of which Harbourview is part was deposited during the Pleistocene Ice Ages, when average sea levels fluctuated hundreds of metres up and down in the Auckland region. Ideally, the Motu Manawa (Pollen Island) Marine Reserve should be extended westward so that it includes the entire tidal flats and foreshore of Harbourview. That way, wading and migratory shorebirds, of which many species are to be found, would enjoy an absolutely protected sanctuary to feed and rest in, right up to the tide mark of eastern Te Atatu Peninsula. 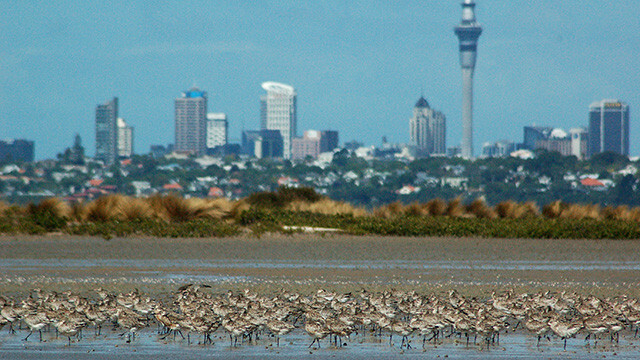 Harbourview and its extensive foreshore and seabed are remarkable for the extraordinary range of bird species they support, including Northern hemisphere bar-tailed godwits that migrate annually back to the arctic zone to breed, and endemic wrybill, of which there are only a few thousand left, that fly up from their nesting sites in the braided rivers of the South Island. In the past few years flocks of royal spoonbills have arrived in the area, as did briefly some stray pelicans blown in from Australia in 2013. Migratory shorebirds can be seen feeding and roosting in their hundreds just offshore from Harbourview on the tidal flats or upland in the fenced grounds of Te Atatu Pony Club. It is no accident that Harbourview is one of the favoured sites for the Ornithological Society of New Zealand to conduct its annual national shorebird survey count. Harbourview deserves to be better known as a bird-watching tourism destination like internationally-recognised Miranda in the Firth of Thames. One day Te Atatu Pony Club may move on, but its dog-proof fenced perimeter and short grass pastureland could be preserved in perpetuity as a high tide shorebird roosting sanctuary, with facilities provided for wildlife observation. Harborview has two signature terrestrial birds – the fernbird (northern form) and banded rail and as Harbourview is a bleak and exposed place during the cold months, they will be hunkering down for winter. However, last summer was a good one for breeding, with the fernbirds believed to have raised two rounds of chicks in their nests carefully hidden among wetland reeds. Harbourview’s resident native birds somehow manage to keep calm and carry on, maintaining their ancient populations despite the encroachment of predator pests and uncontrolled dogs. 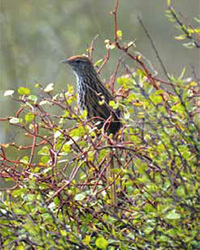 There are many present dangers to the area’s birdlife and natural environment to contend with. Harbourview is infested with mice, rats, stoats, hedgehogs and feral cats, all of which are predators of ground nesting birds, their eggs and chicks. Victims include fernbirds and banded rails, not to mention other avian rarities such as New Zealand dotterels, which nest in Te Atatu Pony Club’s paddocks. 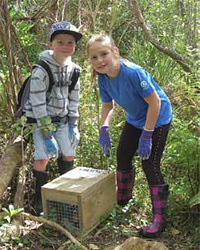 For the past few years, a Forest and Bird volunteer chapter, Motu Manawa Restoration Group, with assistance from Te Atatu Peninsula residents, has been maintaining Auckland Council-supplied DoC 200 stoat traps in Harbourview to kill at least some of the predator pests and give native birds a better chance to increase their survival rates. The group has also started systematic replanting in Harbourview of native vegetation that fernbirds like to feed and breed in. With persistence and determination, the natural environment of Harbourview can be made safer for its distinctive native bird species. Additional menaces are posed by uncontrolled dogs. Dogs are not permitted off leash anywhere at any time on Harbourview’s main walking path, its low ground, wetlands, coastal land, or foreshore. A penalty fine of $300 applies for non-compliance. Sadly, many dog owners flout this rule. 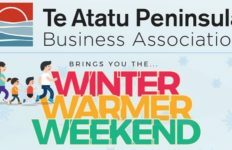 A new Te Atatu Peninsula community group has been formed called Friends of Harbourview. 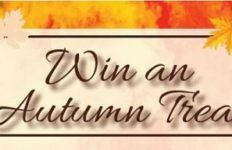 The aim is to promote Harbourview’s conservation and public amenity values, encourage community volunteer involvement, explore potential for the area to become a regional park, and guard against future development. This group also keeps watchful eye on the money collected from the special rates levy that Waitakere City Council charged its ratepayers to fund the preparation of the Harbourview-Orangihina Open Space Management Plan and design details and development of the Park. The group believes this levy money should be held in trust and not used to finance anything except improvements in Harbourview that all members of the public are equally entitled to enjoy.